We welcome all kinds of people to join our excursions. Many of these are outdoor excursions that involve a significant amount of walking. Always wear comfortable shoes! Tours, excursions and classes can be customized for families with children. Most outings end at the same place where they began. Though we will keep within the schedule posted, these tours move at a leisurely pace. You will not feel rushed when out with us! We have a 2 week cancellation policy; We can not give refunds for no-shows. DO I HAVE TO BOOK ONLINE, OR CAN I JUST SHOW UP AND PAY IN CASH? For most of our excursions tickets must be purchased in advance and prepaid. Because we only offer private excursions, tickets often sell out well in advance. We recommend purchasing your tickets as early as possible. You can purchase tickets by credit or debit card directly through us. Though we prefer to organize experiences in advance - to best assure your comfort - we will do everything possible to accommodate last-minute bookings. Feel free to contact us directly if you are already in Venice and would like to try to join an excursion. One important suggestion: Many of our clients make use of either “vaporetti” (public boats) or water taxis in Venice. Transportation prices vary from 7.50E - for the public boat - to 120E to private luxury water taxis. Transportation costs are NOT included in the prices of our excursions. However, we are happy organize your transportation at your request. Meanwhile, we highly recommend that all clients purchase a public transportation pass good for the length of your stay in Venice. 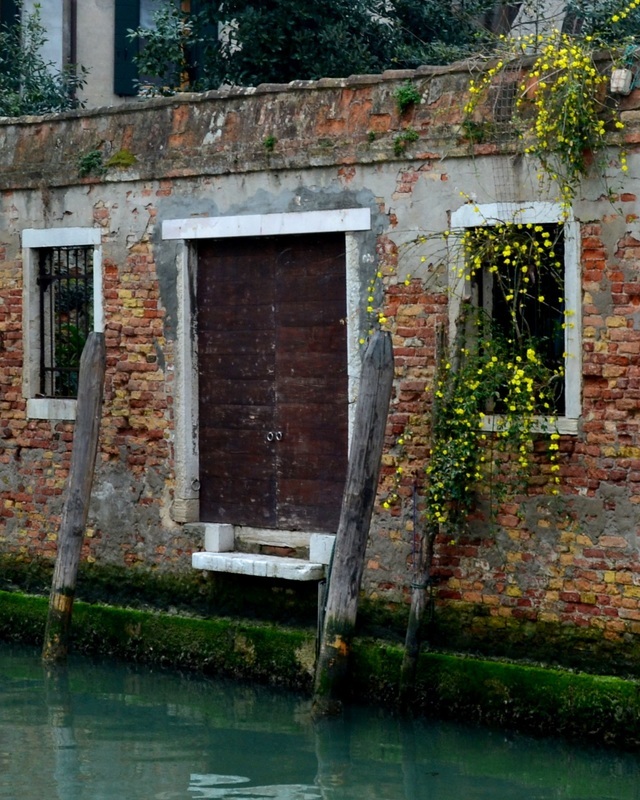 These passes give you unlimited access to the public boats in Venice and lagoon. You can buy public transportation tickets online HERE. HOW MUCH WALKING DO YOUR EXCURSIONS INVOLVE? WHAT IS THE PACE LIKE? On all of our excursions, except boating outings, guests must be able to comfortably stand and walk for at least one hour at a time. Every outing includes at least one stop at a bar, restaurant or cafe where you will be able to refresh yourself and rest your legs for a while. But, you will be on your feet for the majority of the time. Comfortable shoes are a must! Out of respect for your schedule, we try to run all excursions within the amount of time specified on the website. However, you should never feel rushed. The schedules allow ample time for walking at a leisurely pace, admiring the world around you and taking pictures of the one-and-only Venice. You're on vacation and, more than anything, we want you too enjoy yourself during your time with us! WHAT IF I WON'T BE EATING OR DRINKING DURING THE OUTING; DO I STILL HAVE TO BUY A TICKET? Yes, all participants must purchase a full-priced ticket, even if they do not wish to eat or drink during the tour. WHAT TYPES OF REFRESHMENTS ARE AVAILABLE ON THE OUTINGS? It depends on your tour, but we always guide our guests towards the freshest and most authentic local foods and wines of Venice. At the end of the Lido Market Tour, there is a tasting of local cheeses, fruits and meats. During the Island Food and Wine Tour, there is a lunch of traditional local antipasta and other dishes prepared with seasonal vegetables grown in the lagoon. Excursions within Venice include stops at local bars and/or pastry shops where you can enjoy freshly prepared foods and local wines. WHAT IS INCLUDED IN THE PRICE OF THE EXCURSIONS? The specific refreshments and event inclusions for each tour are listed on the page describing that tour. Please contact us with any specific questions or special needs/requests that you may have. DO THE EXCURSIONS END AT THE SAME PLACE WE STARTED? Yes. With the exception of our Artisan Shopping Walk, all of our excursions end at the original meeting point. However, guests on our Sant'Erasmo or Lido outings who would prefer to spend some more time on those islands are welcome to do so. We only ask that you let us know so that we won't worry about you! The Artisan Shopping Walk ends in the San Marco district near the Grand Canal; a wonderful and very central neighborhood to find yourself in during the evening. IF THE TOUR DATE I WANT IS SOLD OUT, IS THERE A WAITING LIST? We do not keep a waiting list, however, if you really would like to join us on a particular day, or are trying to make a last-minute booking, please contact us directly and we will do everything we can to accommodate you. WHAT IS THE WEATHER LIKE IN VENICE? HOW SHOULD I DRESS? Our excursions are mostly very casual, outdoor adventures. Dress as casually and comfortably as you like. Just please keep in mind that Italians tend to be rather modest in their dress. Overly revealing clothing in frowned upon. However, normal summer clothing including tank tops, dresses, skirts and shorts are just fine! ARE CAMERAS AND PICTURE-TAKING ALLOWED ON THE EXCURSIONS? Yes, of course! Venice, and the Venetian lagoon are among the most beautiful places in the world. Take as many photographs as you like! CAN I BOOK A PRIVATE GROUP OR FAMILY TOUR? Yes, of course! In fact, we only offer private tours. If you would like organize an event or excursion for a group of friends, please contact us directly to find out how many people can be accommodated for your specific excursion or event. DO YOU ACCEPT GRATUITIES? ARE THEY INCLUDED IN THE TICKET PRICE? Gratuities are not included in the ticket price. While not mandatory, if you had a great time, they are appreciated! The standard gratuity in the industry is 15-20%. We expect our guests to to be respectful of your service providers and of the proprietors at every establishment you visit. There are opportunities for drinking alcohol on many of our outings, but drunkenness and/or inappropriate conduct are absolutely NOT tolerated. A guest acting in a disorderly or offensive way will be asked to leave the tour and will NOT receive a refund. ARE CHILDREN ALLOWED ON THE EXCURSIONS? Yes. Well-behaved children, accompanied by an adult, are welcome to join our excursions. We can even customize any excursions for your family's specific needs at your request. We only ask that you inform us in advance if you will be bringing children so that we can make whatever small adjustments might be necessary to assure your child's entertainment and comfort. There are absolutely NO REFUNDS FOR NO-SHOWS. Your guides and accompanists organize themselves in advance to be there for you. If you are delayed due to exceptional circumstances, contact us and we'll see what we can do. WHAT HAPPENS IN THE EVENT OF BAD WEATHER? DO THE EXCURSIONS MOVE FORWARD? We do NOT cancel tours due to light showers or the occasional downpour. However, the comfort and safety of our guests and providers is a priority. In the event that a tour is cancelled due to very bad weather, all guests will be notified and will receive either refund or the opportunity to reschedule. If a tour is cancelled due to bad weather, we will first do our best to offer you an alternative day or time. If we are unable to accommodate you at all, a full refund will be issued within 30 days. Tickets are refundable two weeks prior to the departure of your tour with notice of your cancellation. Our tours involve not only your providers, but also others in Venice - artisans, glass masters, chefs - all of whom are reserving time from their professional schedules to provide an exclusive experience for our guests. If a tour is cancelled due to bad weather, we will first do our best to offer you an alternative day or time. If we are unable to accommodate you at all, a full refund will be issued within 30 days.